On the border between North Macedonia and Albania, between the lakes Ohrid and Prespa, stretches a mountain range Galicica with peaks reaching over 2000 meters. Its shores lie on the Lake Prespa, along with the only island in North Macedonia, Golem Grad. The area is one of the three national parks in the country and it has a huge variety of flora and fauna, as well as geological sites. Galicica is favorite vacation spot for both North Macedonians and tourists, so here are the most important information you should know before the visit. When arriving with a car to the entrance of the park, you will notice the curvy road. At the entrance, you probably won’t find any ticket stand or anything similar but there is an entrance fee, and it is 200 MKD (around 3€) per person. 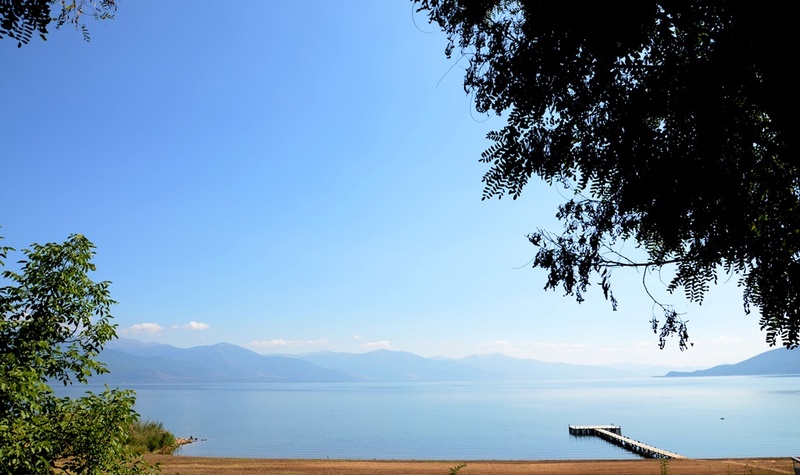 If you’re arriving to the entrance just in order to pass with a vehicle to the other side (Lake Prespa) without staying in a park, you will have to pay some small fee for the vehicle and to get able to pass through the park, but you won’t have to pay the regular entrance fee. What to do at National Park Galicica? 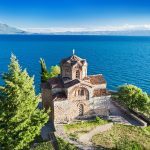 St. Naum Monastery: Visit one of the most visited destination in the park, Saint Naum Monastery, on the border with Albania, right on the shore of Ohrid lake. You can also take a boat to the springs, and during the summer months, you can enjoy beautiful beaches around the place. Hiking: Exploring this area by foot is the best way to experience the beautiful surroundings. In NP Galicica you will find many paths ideal for hiking, and getting to the highest point Magaro is definitely a goal since the view that stretches from it to the neighbouring lakes is simply breathtaking. The trails are paved so it is really easy to spot and follow them, and they are all over the park each lasting for a good few hours, so if an active vacation is what you look for, NP Galicica won’t be disappointing. Visit Golem Grad: The only North Macedonian island is situated in the Lake Prespa, but it is still considered part of National Park Galicica. The island is also known as Snake Island due to – many snakes (! ), but also a huge number of other species of which some are endangered. There you will find ruins of ancient Roman and medieval periods, some of the churches are well preserved. You can reach the island by boat from either Stenje or Konjsko. Discover flora and fauna: This area preserved its natural ecosystem, for example, the wildlife of NP Galicica is very rich, so don’t get surprised if you spot various animals such as bears, deer or even volves (don’t worry, remember that animals are more afraid of you, so just stick to the paved roads and you’re safe). Also, Galicica is a home to hundreds of plant species of which some are endangered, so keep your eyes wide open while going around, there’s a lot to be seen. 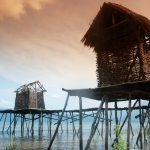 Fishing: On the shores of Galicica you will find several fishing villages, and fishing in this area is very exciting due to a very large number of fish species. Since there are also endangered species in the lakes, fishing was banned for a few years but now, you can enjoy fishing again by picking up a tour from the professional fishermen. How to get to National park Galicica? By car: If you’re arriving from the direction of Skopje, you can either take the route E-65 via Tetovo, or via Petrovec and Bitola. Depending on the side you’re coming from, you can get to Galicica from the side of Ohrid or Prespa. The ride takes around 3 hours. If arriving from the direction of Greece, you can go via E-90 from Thessaloniki, but you have to pay a toll fee, the other option is E-02, without the toll fee. Both routes pass through Bitola from where you decide whether you want to continue to Prespa or Ohrid side of Galicica. The approximate travelling time is around 3,5 hours (20 minutes more/less). If arriving from any Northwest or Southwest direction, you can join the SH-3 route which goes to Ohrid. By bus: From Skopje main bus station you can decide whether to take a direct bus to Ohrid or Prespa side of Galicica. The route for Ohrid is a bit more frequent, it lasts around 3,5 hours. If arriving from Bitola, there are also regular departures on a relation Bitola – Ohrid. If arriving from Albania, there is a route Tirana – Ohrid, travel time is around 3-3,5 hours. In case of arrival from other countries such as Greece, Serbia, Montenegro etc. the option is to get to Skopje main bus station and continue your journey to either Ohrid or Prespa. 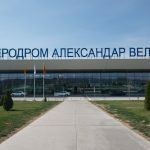 In case you’re arriving directly from the airports in Skopje or Ohrid, there are no direct bus lines (except from Ohrid Airport to Ohrid by WizzAir company, coinciding with their flights), so the only option from Skopje Airport is first to get to the main bus station in Skopje, and in case of Ohrid Airport, to consider taxi or a private transfer. National Park Galicica literally connects two biggest North Macedonian lakes, Ohrid and Prespa, that it is simply impossible not to include them in your visit. Visit Ohrid town, stroll around its colorful market, if you want something authentic, look for Ohrid pearls. 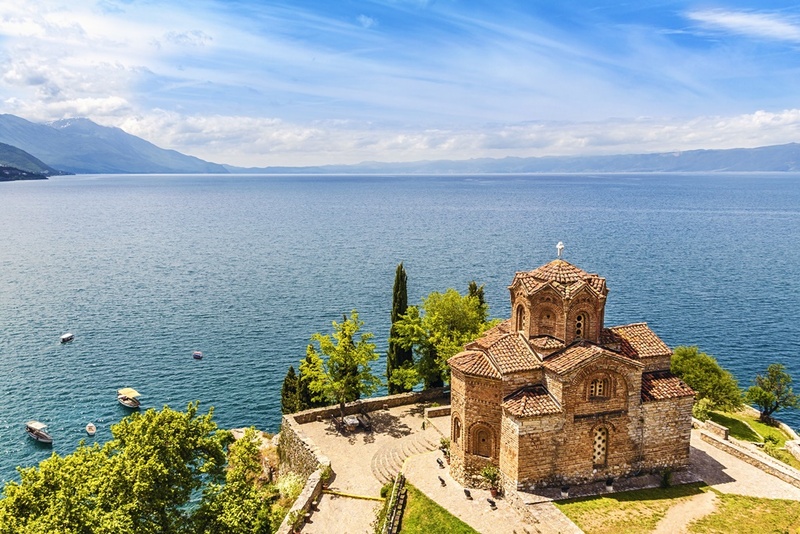 Ohrid is known for its churches and monasteries, and some of the most attractive ones you should see are St. Jovan Kaneo, Church of St Clemens and Church of St Sophia. 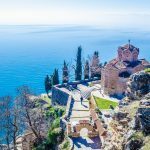 Climb to the landmark of Ohrid, Samuel’s Fortress. Have an active holiday by hiking through the area, cycling or even swimming and sunbathing. On the eastern shores of the lake lie lovely villages of Oteševo, Stenje and Konjsko which you can explore. Visit Resen, a town on the very North of the Prespa basin, and check its museum. Visit Small Prespa Lake on the Greek side of the region, there you will find some of interesting sights such as the islet Agios Achilios and village Agios Germanos. Include some interesting activities such as birdwatching, swimming or even skiing and snowboarding if arriving in the winter period. IMPORTANT: You should know that you cannot enter the Greek side of Lake Prespa from the North Macedonian side. If already on the side of North Macedonia, you will have to go to the crossing between Bitola and Florina and continue back southwest to get to the Greek side. The other option is to go to Stenje and cross to Albania from where you can cross the Greek border on the south where Small Prespa lake is. 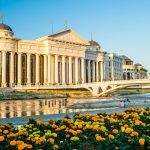 If staying in the area long enough to include even more, then you can consider visiting cities like Bitola and National Park Pelister. Where to sleep at National Park Galicica? The fact is that National Park Galicica is not that well set up for the tourists so finding accommodation that is within the border of the park could be difficult. 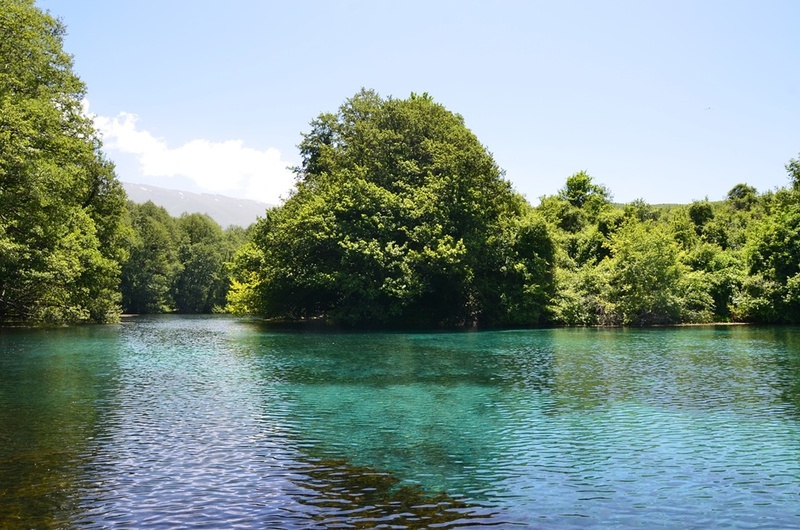 If you want a hotel or apartment, Ohrid or Prespa have a wider offer, but it is possible that some of them are on the shores of the lakes where the park ends. Still, if staying in nature is your preference, camping is allowed in some places such as Pretor, Rino, Dukov, Elshec, Ljubanista, Gradiste etc. Believe it or not, it is even allowed to camp on Golem Grad (a.k.a. Snake Island) but we leave that choice to you.